Gosh...I remember when Anna was born. Time goes by so fast. Next thing you know she will be in high school! Love all her birthday dresses. What a beautiful dress and Anna looks so grown-up! Congratulations to her on starting school. I can't believe that Anna is five and has started school. Like Alison I feel I've known her all her life. The dress is really lovely. Oh yes, I certainly do remember when Anna was born! Happy belated birthday to her! Your recap of her birthday dresses is so great (but this latest one takes the cake). Love your attitude about her big new adventure: a wonderful milestone for you both. oooooohhhhh, thanks for sharing the birthday dress retrospective as well as the current one. Seems to me that both of you are very lucky! Great posing skills (as well as great sewing skills, of course.....). Beautiful dress. Five years goes so quickly when you have children. Anna looks great in her uniform and well done for no tears (from either!) Toby's looking very tall too! Happy 5th birthday to Anna from snowy NJ!! I started reading your blog around the time she wasn't sleeping through the night....guess you're past all of that now! She has grown, happy birthday to your sweetie! I think I started following your blog just before you announced you were pregnant, and I cannot believe it has been more than five years, wow! Beautiful dress! You did a great job! Quick question about school. In the US, kids start school in September. If they aren't old enough, they wait till the next year. Do kids start school as soon as they turn 5 in Australia? Just curious. Super cute, great job as usual! Oh my gosh, how time flies. Beautiful dress! So sweet and girly and perfect. A darling dress for a darling girl!! Do kids start at age 5, even if that falls in the middle of the school year? In the US, you start half day kindergarten at the beginning of the school year as long as you turn five before the age cutoff. In CA, it's Sept 3 for a late August school term start. So, if you miss it by a day, you have to wait an entire year. Yes, like badmomgoodmom said... our kids always had to wait for the next school year if they missed the cut off date (which is different in each area). So our son was older then most kids when he graduated.... at 18, having turned 18 in Oct. and then graduated in June the following year. She is growing like a weed... then again, so are all our grands too! The b-day dress is cute! Neat to see how she has changed! In the NSW system,children can start school if their fifth birthday occurs in that year before July 31. So some kids will be 5 already, some still 4. My son was born in April but I kept him back for various reasons so he was 5 years and 10 months when he started school. My daughter, with a March birthday, was 4 years and 11 months. I think every state has it's own system though. I think some states start them on their fifth birthday, whenever that occurs. How gorgeous. A big belated birthday to Anna. And how cute she looks in her uniform. Thanks for the trip down memory lane. I have only been blogging for a couple of years so missed the early ones. Gorgeous. You've a great Mum. Anna looks wonderful and it's great that she always has a birthday dress that Mum made. Congratulations. Beautiful birthday dress this year and hope Anna had a gorgeous birthday. Love the tripped down memory lane and so cute in her new school uniform! The contrasting pink collar and sash are perfect!!! Gorgeous dress. So glad she is happy at school. School doesn't make home life much easier for a while, but its still good. I hate to wish my life away, but I'm hanging for Adele to start school. Lovely dress for Anna too. Don't take it up. If she's like my kids she'll only shoot up in a couple of months and it will be too small for her. That dress is too cute. My youngest started school this year - That five years flew. So many of us have little ones starting school this year. I just adore this dress and thanks for the retrospective shots. All those dresses look just darling on your little one. All the best for her year at school. How grown up Anna looks now - so lovely to Hera how positive she is about school and all the joys that will bring you all. All the birthday dresses are so cute and stylish! As a long time reader of your blog it's hard to believe that Anna who was once a 'challenging' baby has grown into such a lovely young girl. Awww, little school girl. It only seems the other day my girls were starting prep. They have both now finished uni. Boy time flies. And Anna is 5! Very nice dress - perfect for a 5 yo princess. N hem folks - Anna is not starting school mid-year - February is the end of summer in Australia. Wow sweet sweet little dress for Anna - and my oh my don't they grow up so fast. When our two were school starters they were so brave too, we had only a few tears and (surprisingly) none from mummy! I was brave too lol. 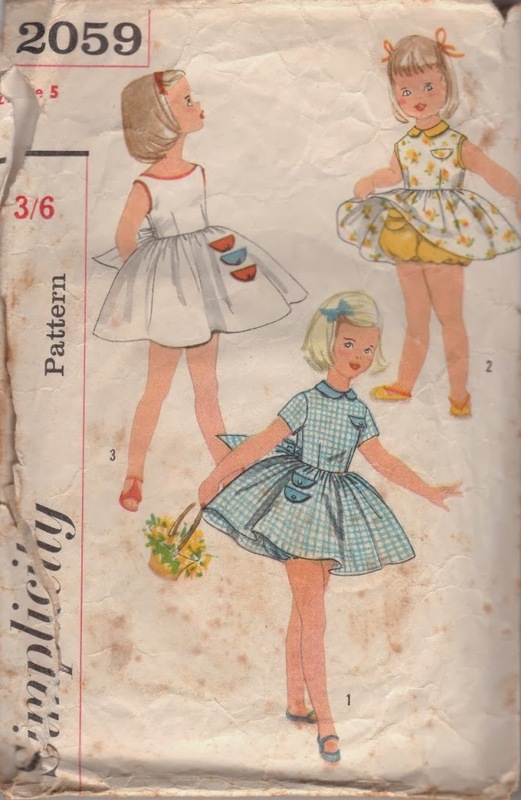 I love the lineup of the mummy-made birthday dresses - you're a lovely mummy.